Friday, September 17th was PARKing Day, an annual worldwide event that encourages people to turn urban spaces into temporary parks for the common good. 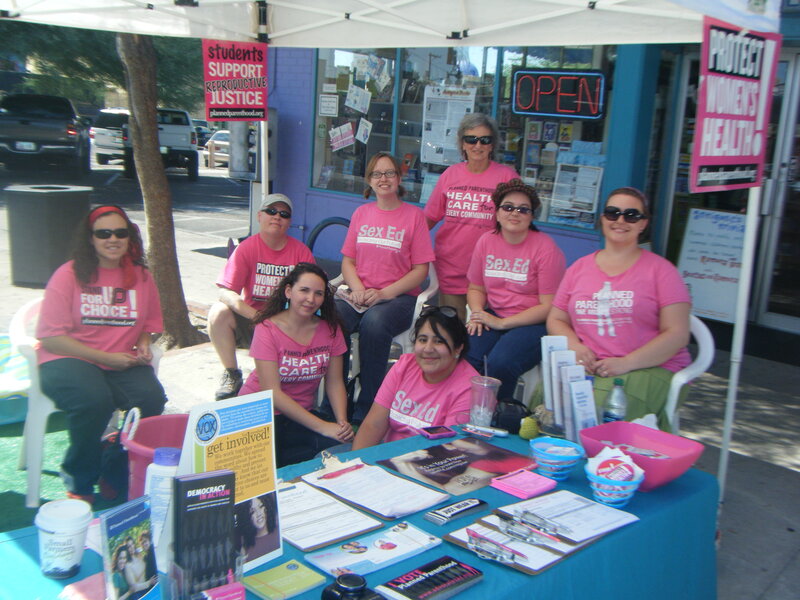 Planned Parenthood participated for the second year on Friday, and we had a fabulous time! We had 14 volunteers throughout the day. Our parking space outside of Antigone’s Bookstore on 4th Avenue in Tucson was transformed into a mini park, complete with a wading pool, astroturf, voter registration materials, and delicious baked goods. We spent the day talking to people about the upcoming election, and encouraging people to register to vote. This was my second year participating in PARKing Day. I always have interesting conversations with people when I table for Planned Parenthood, and Friday was no exception. Several U of A students stopped by the table, and we encouraged them to register to vote in Arizona. Most of them didn’t even realize that there was an election in November. We gave them a list of the PPAA-endorsed candidates, and then many people proceeded to talk to us about their frustration with Arizona politics. We urged them to turn their frustration into action by going to the polls and electing pro-choice candidates who will protect women’s health.